The Indian Polo Association and Pro Sportify Ventures will launch the Indian Arena Polo League, starting September 2019. 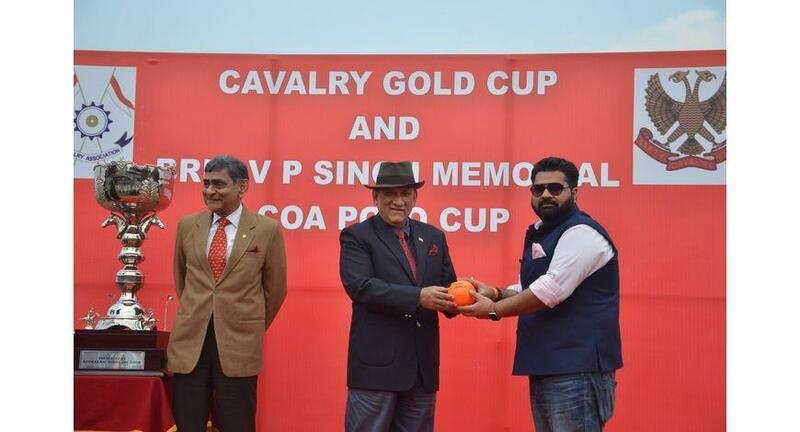 On the occasion of the Cavalry Gold Cup, Chief of the Army staff, President of IPA, General Bipin Rawat and the QMG Lt. Gen Amre, Chief Steward and Vice President of IPA met Kartikeya Sharma, Founder and Promoter of Pro Sportify ventures and jointly made this announcement. During the ceremony, the Chief of the Army Staff, President of IPA, Gen. Bipin Rawat handed over the ceremonial Arena Polo ball to Sharma to signify that now Pro Sportify Ventures will carry it forward.